About Our Team Dayton, Kettering, Beavercreek, OH Chiropractor - Poelking Chiropractic Wellness & Physical Therapy, Inc. In 1995, Dr. Poelking received his Doctorate of Chiropractic degree from Palmer College of Chiropractic and moved back to his hometown of Kettering, Ohio to start his practice. As time passed, he has built one of the most advanced, state-of-the-art practices with one goal in mind - Do what is best for the patient. With that as his goal, he assembled a truly gifted team of healthcare providers who share his passion and give 110% everyday to meet your needs. As a previous collegiate athlete at the University of Louisville, you will not find a more competitive provider for the treatment of your condition. His commitment in the office is every bit as strong as it was on the football field. Please take a minute to read through the following biographies to learn more about the caring and capable people who make up the team behind Poelking Chiropractic. 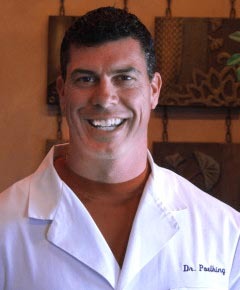 Dr. Wolverton is a 2006 graduate from Logan College of Chiropractic in St. Louis, Missouri. He joined the Poelking Chiropractic team in 2008 after completing a two year clinical rotation. 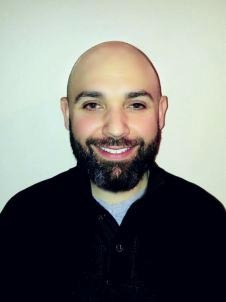 He currently acts as a treating physician where he is responsible for all spinal adjusting as well as assisting Dr. Poelking in patient diagnosis and treatment plan recommendations. Dr. Wolverton has exceptional skills in spinal manipulation and enjoys seeing patients recover and maintain optimal health and quality of life. Patient satisfaction and maximal improvement is always a primary goal in Dr. Wolverton's treatment. Furthermore, his attention to detail and desire to help is one of the many special qualities that patient's experience with their care at this office. 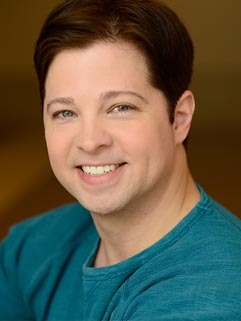 In his spare time, Dr. Wolverton enjoys spending time with his two children and is very active in film/stage acting. 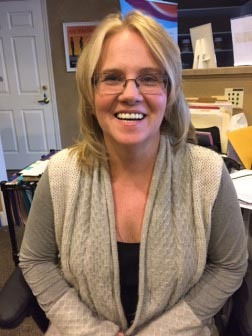 Stephanie (Steph) has been with the practice for 11 years now. She is our Office Manager and can pretty much help you with any concerns you may have. Steph will always greet you with a smile and you will find her giggly laugh infectious. In addition to overseeing day-to-day operations, she handles finance, billing issues, insurance and program questions. Steph is a local girl originally from Mechanicsburg, Ohio. She enjoys the outdoor life and camping with her family. When she is not attending her children's' sporting events, you might catch her reading or crocheting. Scott joined the practice in 2007 and has been involved mostly in assisting patients with their therapy needs. Scott does a great job with the patients and is always happy to lend a hand with those who have questions regarding their exercises or programs. In his spare time, Scott is a DJ for weddings and trivia and any other special events. He is also an avid sports enthusiast and coaches basketball for 4th and 5th graders. He has ties from Louisville, which obviously makes Dr. Poelking happy. And lastly, but certainly not least, he lives with his fiance, Amanda and 2 dogs, Prada and Khaleesi.